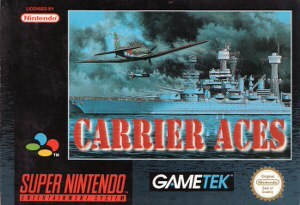 Carrier Aces for Super Nintendo allows you to play as either a Japanese or an American pilot set in World War II. There are seven campaign missions to complete. Go against a friend in the head to head two-player mode.